Rare collector guitar Forrest White MM Stingray. Click image for expanded views! 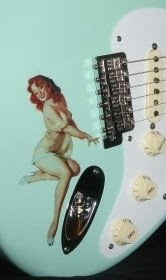 Here's an early descendant of the Fender family gene pool for your inspection! Currently listed at eBay by California based Seal Beach Music this pre- Ernie Ball era Music Man Stingray is- according to the seller- the very first production model Stingray. 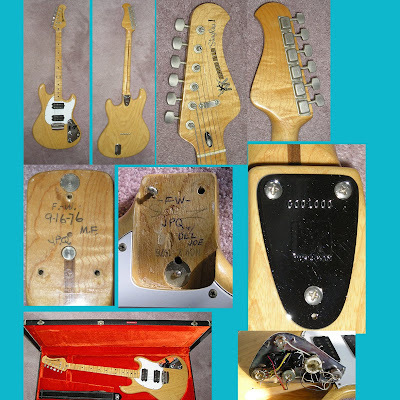 Built in 1976, Stingray #001 bears the initials "FW" and was obtained by the seller from Forrest White himself. Check out the familiar early-mid 70's Fender style bullet truss & 3 bolt config. If everything checks out, this would make a nice milestone piece for any guitar collection. Due diligence kids!